We are looking for a Barista for this vibrant part of our hotel. Story Bridge Hotel has four unique dining venues, a signature wine cellar, a boutique retail store, five diverse bars, a gaming room and fabulous function spaces that overlook the city. Owned by the Deery family since 1967 this venue has gone from strength to strength and has a sincere focus on guest experience whilst catering for various demographics within the venue. The Story Bridge Hotel offers a fabulous and rewarding work environment and is fortunate to have a dedicated and energetic team. We are currently looking for an experienced Barista to work in the fast-paced Main St Bar & Eatery. 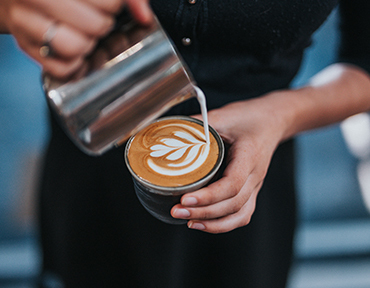 You will have proven experience in consistently producing the highest quality coffee in a busy, high volume environment. If you would like to work in a fun, busy environment, have an outgoing personality and like to go the extra mile in customer service and teamwork, please send in your resume. We are open seven days a week therefore weekend and evening work is required. Hours currently available are casual and full time. To apply please upload your resume on our Application Form.